After the diagnosis of genuine stress incontinence is made, the physician and the patient determine the necessity of surgery, usually after a trial of more conservative treatment. 1. Remove paraurethral fat out to lateral sidewalls. 2. Keep dissection 2 cm from urethra and bladder neck. 3. Elevate paraurethral tissue with vaginal hand during dissection and suture placement. 4. Clean off Cooper's ligament. 5. Place a right and left suture through the paraurethral tissue 2 cm lateral to the midurethra and up through Cooper's ligament. 6. Keep paraurethral tissue elevated with vaginal hand while tying. 7. Repeat bilateral suture placement 2 cm lateral to the bladder neck and through Cooper's ligament. 8. Do not over-correct when tying the sutures, leaving 2 cm between pubic ramus and the urethra. 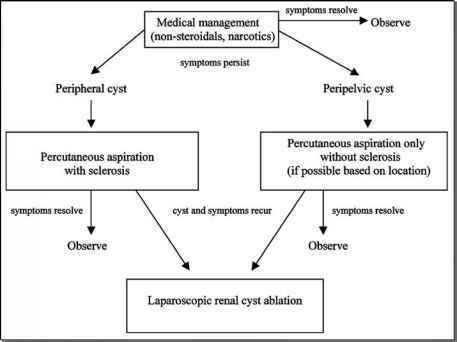 Relative contraindications for laparoscopy include history of severe abdominal or pelvic adhesions, prior incontinence procedures, intrinsic sphincter deficiency, or the necessity of other abdominal procedures requiring laparotomy. The decision to perform the Burch procedure through an open or laparoscopic technique depends on the patient's history and the skill of the surgeon. Many physicians will only treat primary genuine stress incontinence, but the author (9,10) and others (11) have successfully treated recurrent genuine stress incontinence laparoscopically. Prior procedures such as anterior vaginal repair, needle suspensions, Marshall-Marchetti-Krantz, Burch, and bone anchor procedures are not absolute contraindications. Laparoscopic Burch has been used to successfully to treat patients with low urethral closure pressure, low Valsalva leak point pressure, and urethral hypermobility. Laparoscopic Burch is not the surgery of choice with a frozen urethra.